In my happy place at RT Rotisserie. Please open an outpost of your RT Rotisserie in the South Bay or Peninsula. Pretty please. 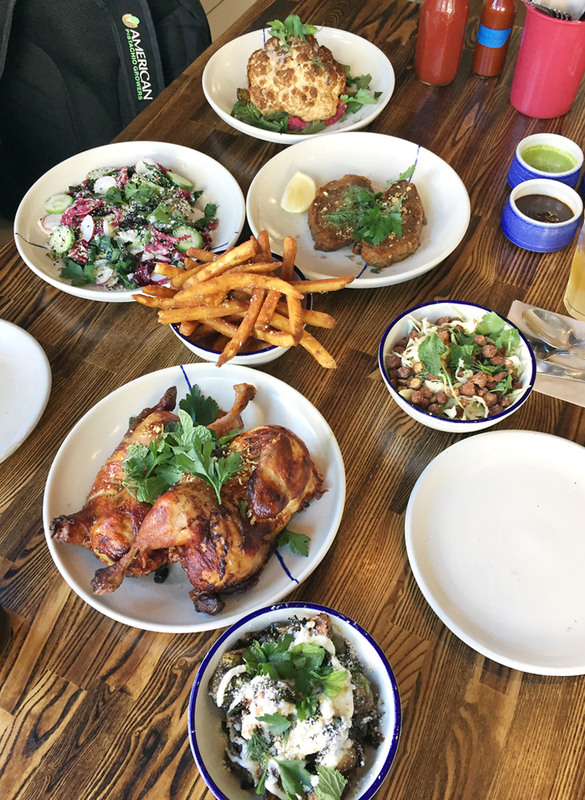 If you have tried the roast chicken and fixings at RT Rotisserie in San Francisco’s Hayes Valley, you’ll be tempted to implore chef-owners Evan and Sarah to open a branch in your hood, too. One taste is all it takes to find yourself swooning over what is the most glorious roasted chicken you’ll ever experience. After all, these are the same chefs who own the newly minted Michelin-starred Rich Table in San Francisco. Chef Evan Rich manning the rotisserie. 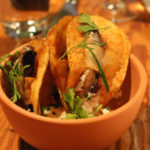 My husband and I ordered a veritable feast — and paid our tab though Chef Evan threw in a few extra dishes gratis — when we visited this more casual establishment recently. You order at the counter, then take a seat to have your food brought out to you when it’s ready. And order we did — a lot — because everything sounded so tempting. Let’s start with the magnificent bird. It’s brined for 24 hours in seasoned buttermilk, then hung for two days to air-dry the skin. 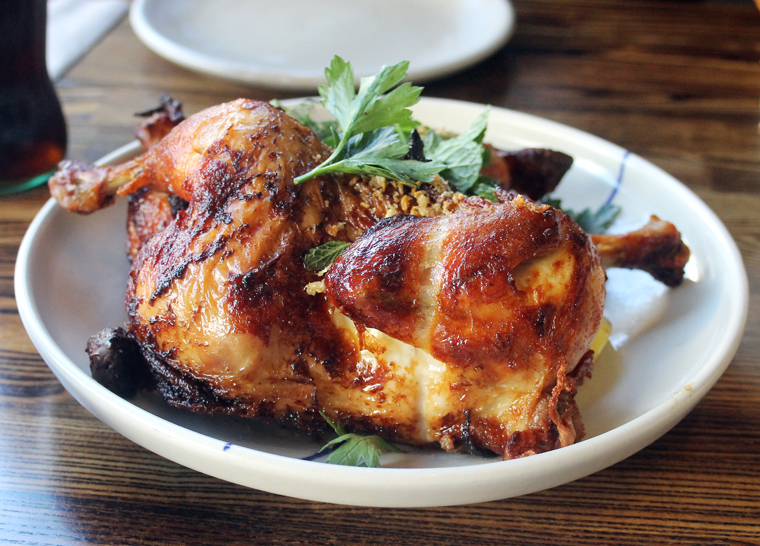 They get cooked on a rotisserie, and after you order one, it’s crisped under a broiler. The result is a chicken not only supremely juicy, but incredibly flavorful with herbs. It’s chicken you just can’t stop eating. You get a choice of two sauces, too: a spicy, creamy chipotle yogurt, a smoky Nanna’s BBQ, a creamy chimichurri, and an unusual douglas fir sour cream. The latter is subtle with a mysterious undertone. It’s as if you somehow combined the wintery foresty taste of menthol without the mintiness of it in the sauce. It’s fun to mix and match the sauces with each bite. But honestly, this chicken is so delicious, you can happily enjoy it plain, too. A half chicken is $10, a whole is $19. Just get the latter because you will be grateful to have leftovers to bring home. Trust me on this. 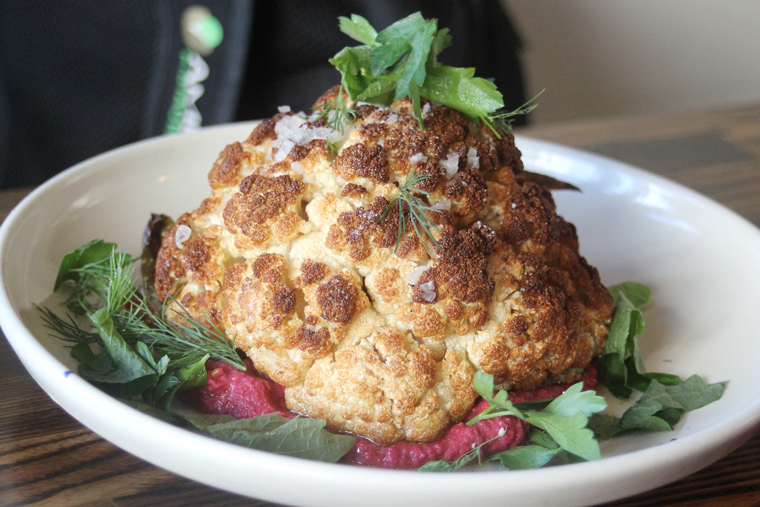 You can also get a whole roasted cauliflower ($9) that’s been cooked on the rotisserie. It is majestic looking when it comes to the table whole like that. Kissed by fire, it gains a smoky char. And the texture is pure perfection — tender yet still al dente where it should be. It’s served on a bed of vibrant fuchsia beet puree that’s creamy, tangy and earthy. We also had a special of rotisserie pork shoulder, which was fabulous. It was crusty on the edges, and practically sticky within from all the fat dripping on it. It was like the best carnitas ever — juicy and tender throughout. The rich, juicy pork shoulder. 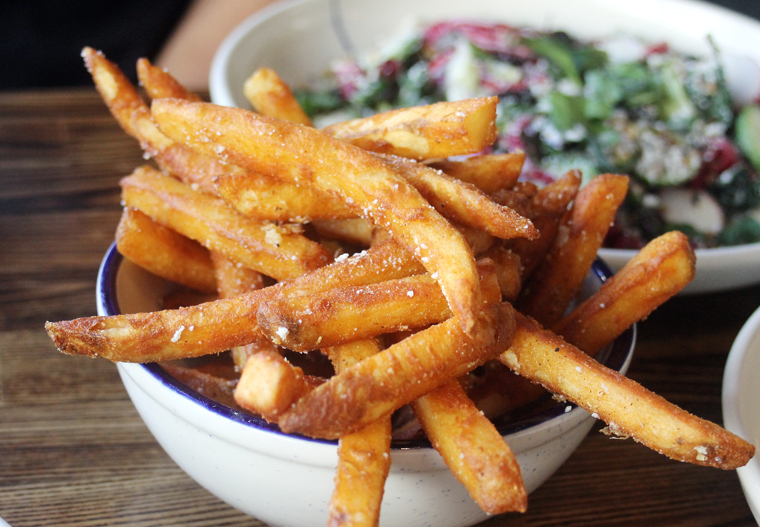 For sides, you can’t beat the umami fries ($6). 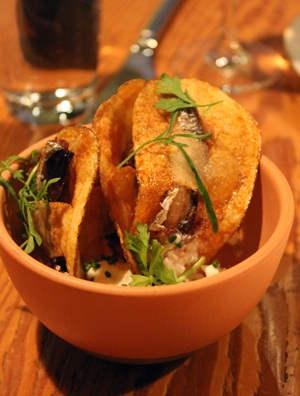 They must be twice — if not thrice — fried, as they are shatteringly crisp through and through. You won’t find any stray limp fries in the batch. 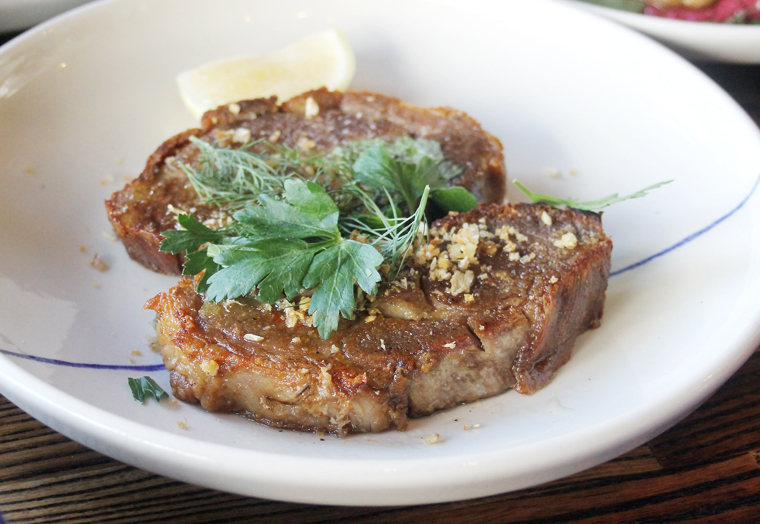 Each one is perfection — with a crackling exterior and airy interior. They get dusted with umami powder made from dried mushrooms to make them even more irresistible. You won’t be able to stop eating these fries. Charred cabbage and almond salad ($5) might not sound like much. But in the hands of these chefs, it because something special. Tender-crisp cabbage, with a smoky edge, get tossed with tons of toasted almonds in a light lemony vinaigrette with plenty of fresh herbs on top. It’s the perfect foil for the rich fries and chicken. 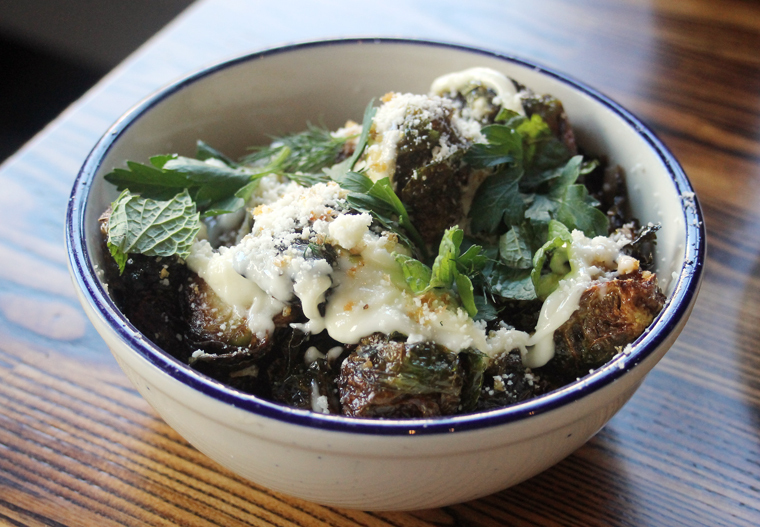 A special side that day offered up Brussels sprouts fried and then dressed in a zesty Caesar dressing. And a salad ($10) of bitter greens lightly dressed with a simple olive oil-herb vinaigrette, sunflower seeds, cucumbers and sweet-tart cherries was vibrant and fresh. This is the kind of food I crave. Honestly, if I lived in walking distance, I’d probably eat here nearly every week. Sarah Rich is a trained pastry chef, so you have to try the soft serve. 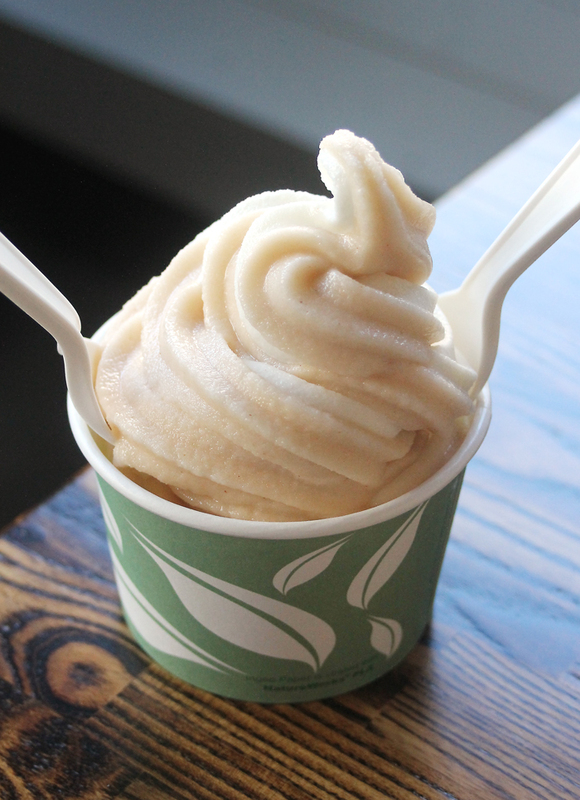 Don’t forget to save room for soft serve ($5), often in inventive flavors such as the mixed twist of pear sorbet and sweet milk ice. It’s creamy, light, and a most flavorful bookend to all that came before it. 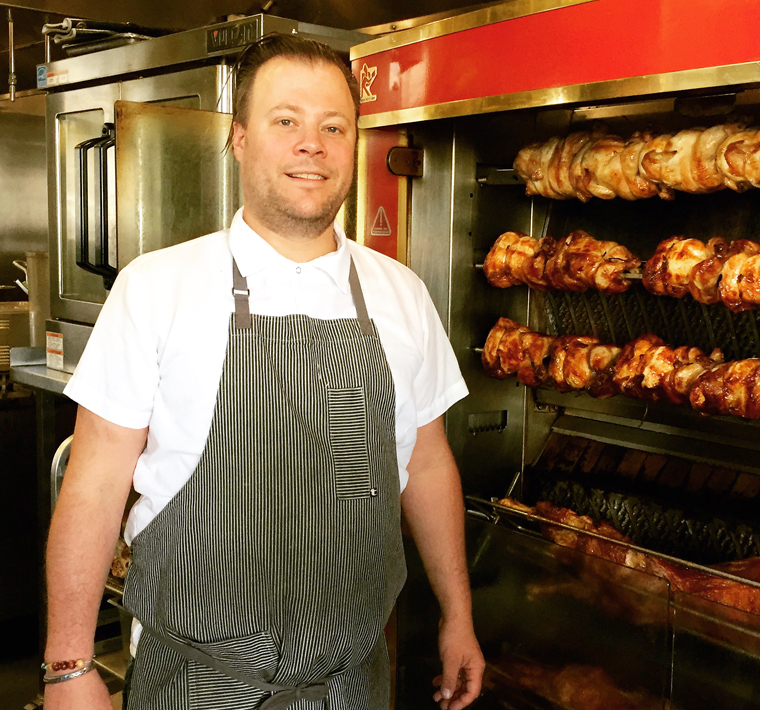 Do yourself a favor the next time you’re in San Francisco: Head to RT Rotisserie — then start a petition with me to get one opened in your neighborhood. One taste and you’re sure to sign on. I already love their restaurant so I can only imagine how amazing this is! That is a feast! I have to check it out. I love rotisserie chicken. I would consider driving to SF for the fries alone, even after the carby excesses of Thanksgiving, those look completely irresistible.